On a scale of 1-10, how would you rate your own productivity? No matter how productive you may be, there are always opportunities to increase your level of output. As a very results-oriented person, I’m very passionate about increasing my productivity. I’m always experimenting with different methods, different systems to increase my output. For the ones that work, I keep them; for the ones that don’t, I’ll put them aside. In the end, what I have with me are the best methods that help me work the fastest and producing the best quality at the same time. Plan your day the night before: Before you sleep, spend 5 quick minutes to plan the next day. 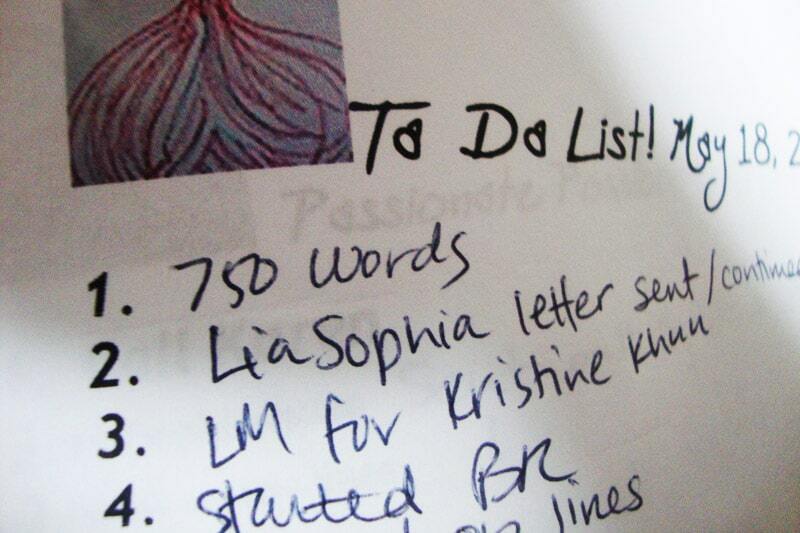 List all the things you want to get done, order them in priority and allocate a rough timing. This way, you can get right down to action when you wake up the next day. Get the big rocks in: Big rocks are your quadrant 2 tasks – the important but non-urgent tasks. When big rocks are in place, you can easily get the small rocks, gravel, sand and water into the jar. Much easier than if you tried to do it the other way round, isn’t it? Hardest task first: Within your quadrant 2 tasks, work on the most hardest one when you wake up in the morning. With that out of the way, everything else becomes a breeze. Single-task: If you are doing something which requires a high level of brain work, focus on doing it one at a time. Don’t try to multi-task and get nothing done in the process. For example, when I’m writing articles, I will focus solely on writing articles, since it requires thinking. Multi-task: For the lower level, menial work which do not require much brain work. For example, if you are ironing your clothes, you can fit in other tasks, such as listening to podcasts. Ditch the unimportant. If the work is a nice-to-do task and isn’t a need-to-do task, consider removing it altogether. Why waste your time doing something that’s not important? I’m constantly evaluating things I do to make sure they absolutely need to be done. Use a to-list. To-do list lets you (1) Capture all tasks that are streaming in. Firefighting activities will always be coming in endlessly, so put them off unless they are both urgent and important. This way, you can concentrate on your task at hand rather than be distracted by other incoming things. (2) It gives you immediate clarity on all the things you need to do and pace yourself accordingly (3) Not run the risk of forgetting anything you need to do. Bonus: Using check boxes in your to-do list gives you the satisfaction of ticking against the item when you are done with it.If you have Live a Better Life in 30 Days Program, read Day 8: Evaluate Your To-Do List, where you learn how to create an effective to-do list marked by 20% high value tasks and 80% low value tasks. Use a do-later list. Throughout the day, there will be many things that demand your attention – usually small tasks that don’t take much time but aren’t majorly important. Put them in the do-later list and do them when you’re done with your big rocks. Effective->Efficient: Be effective first, then be efficient. Effectiveness refers to doing the tasks that matter. Efficient means delivering higher output in lesser time. There’s no point in being efficient doing the non-value added tasks. Read more: Be the Master of Your Time. Quit procrastinating: Procrastinating is a huge waster. Think of all the things you could have accomplished if you never procrastinate from this point onwards! I’ve written a detailed 5-part series on How to Overcome Procrastination which many readers found extremely helpful in overcoming their procrastination habits. Use productivity tools: There are tools, both software and hardware, which help us become more productive and you should wholly leverage on them. For example, I bought the Nokia E63 Qwerty phone so I can type articles and check emails even while on the go, since I commute a lot for coaching and meet-ups with people. It has dramatically increased my productivity after that. I also use Evernote and Sticky Notes as a quick way to dump and access information. Gcal is my central calendar and gmail is my holy grail for emails. There’s even mindmapping software to make brainstorming easier! Here’s a list of my favorite freeware, with more than half of them being productivity tools. Some examples of hardware which improve productivity are PDAs (personal organizers), 3G mobile phones (check emails, get connected), laptops (to work on the go) and mp3 players (for listening to news/radio/podcasts). Meditate. It clears the mind, calms the soul, brings your awareness to your priorities and helps you to focus on whatever you are doing later on. I went to a 10-day Vipassana meditation retreat in ’09 and felt a big boost in momentum after I returned. Get a headstart: Wake up early – Start off your day ahead of others. 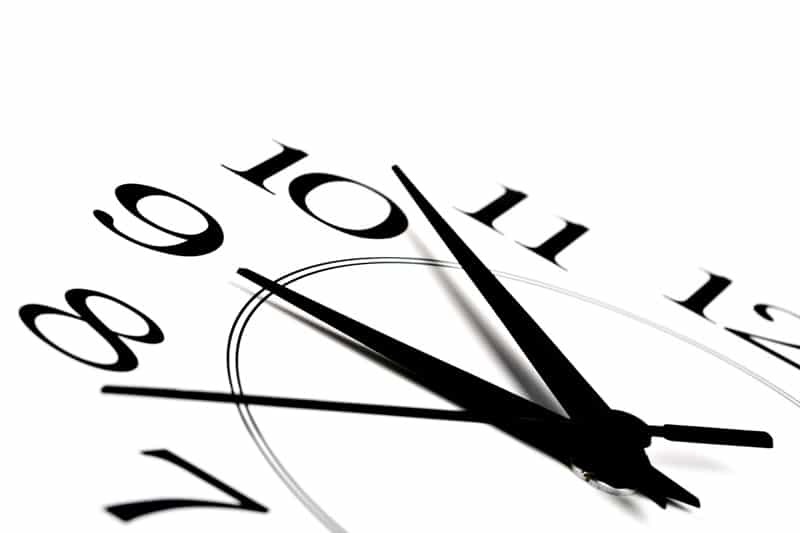 When doing your tasks, start it 5 or 10 minutes earlier than the time you specify. Because you are an extra step ahead, you will feel especially good about it and be motivated to run fast to keep your lead. Practice 80/20 rule. 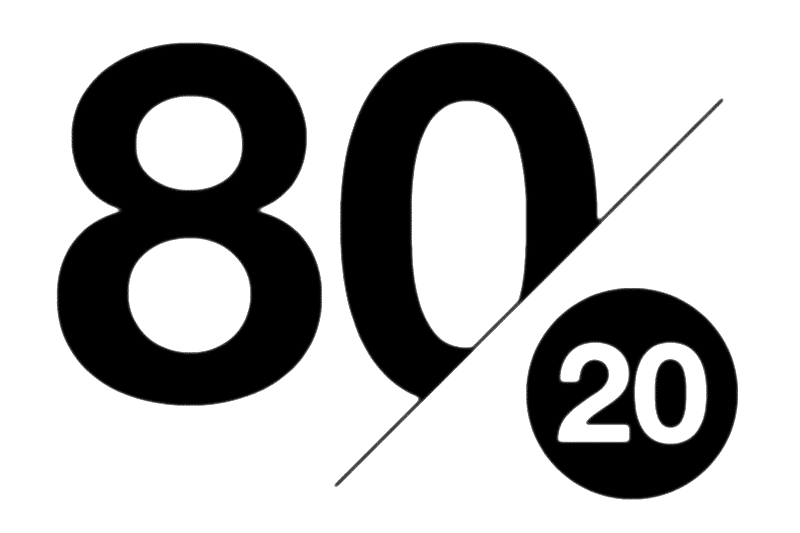 80/20 rule refers to the phenomenon where 20% of causes lead to 80% of the results. Quit trying to be a perfectionist and focus on the 20% of the things that matter. 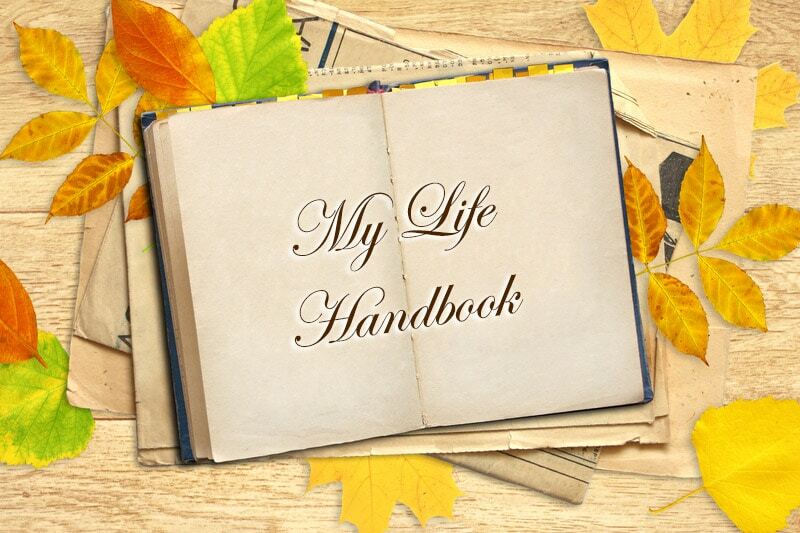 Read my 3-part series on 80/20 Principlefor more on 80/20 rule and how to implement it in your life. Clear your mind. The higher your mental clarity, the more you can focus on your task, and the higher your productivity. I use an exercise I call brain dumping to clear our distracting thoughts and increase my mental clarity. Read more: Increase Your Mental Clarity in 15 Minutes. Another way is to meditate. It clears the mind, calms the soul, brings your awareness to your priorities and helps you to focus on whatever you are doing later on. Be organized. Having everything in an organized fashion makes it easier to do your work. Have a good filing system for your documents (both the soft copy and hard copy) so you can retrieve whatever you want easily. Delegate. If the work is something that needs to be done but (1) can be better done by someone else (2) isn’t part of your scope of work or (3) isn’t the best use of your time, delegate it out to the relevant people. Striving to get the maximum out of the time you have involves taking out items which aren’t effective uses of your time, such as administrative work. Outsource. Same as Delegate, except you pay someone to do it. With the internet being ubiquitous, you can easily hire someone from the developing countries to do work at a very low price. You can also get professional work done, such as design, photography, etc at a reasonable price. Try Odesk and Elance. Cut out your distractions / Eliminate time wasters. Distractions exist all around us – MSN, Facebook, Twitter, TV, Radio, your mobile, etc. Remove all of them before you get to work. I used to do my work and MSN at the same time, then realized that I didn’t get anything concrete done during the period. Now I just cut them out totally. If you want an ultimate no-distraction period, remove internet access altogether. You will naturally start doing your work in due time with the other modes of distractions are removed. Master your skills. To get your work done well and fast, you need to first master your skills. 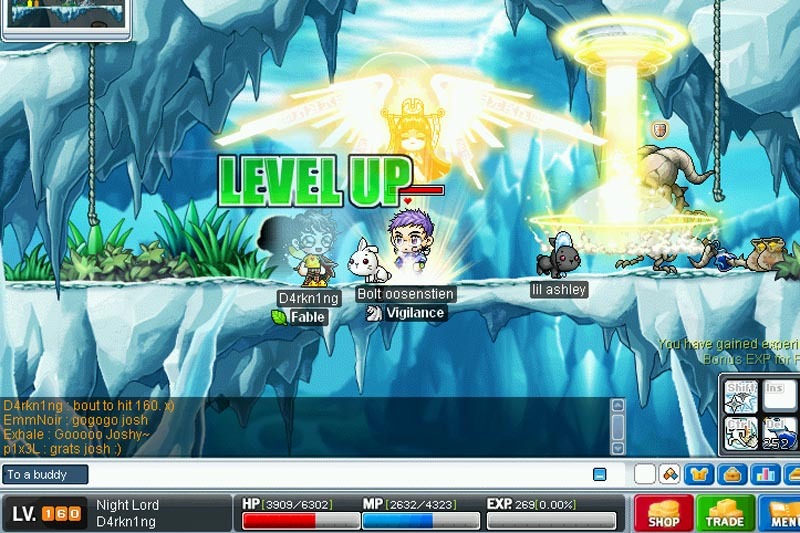 In gaming terms, level up. For example if you are a photographer, you can’t be getting ahead on your photography work if you haven’t gotten acquainted with the functions of your camera and your graphic software. Read: Skills Development. Productivity periods. All of us have times when we are more productive. For me, it’s early morning and late at night. Identify these times and schedule the toughest work to be done during then. For the other times, just slot in the menial work or just relax. Peak enjoyment. Find the most enjoyable manner to get things done and you will get more work done than using any other method. For example, I get more workout done when I’m enjoying the sport (frisbee/badminton) than when I do something less enjoyable (say, working out at the gym). Just do it. Stop finding excuses and just do it. Within 5 minutes into the task, the momentum will start to flow. Be well rested. A good sleep perks me up for whatever is next. Note that quality of sleep is the key, not quantity. Before you sleep, try journaling or meditation to clear the clutter in your mind so you can sleep better later. Search and reapply. Look at the best practices from other places. Apply them to what you are doing now. Many best practices can actually be cross-applied to different places, also known as the Medici-Effect. Improvise. Set a target. Track your performance. If you fall short of your expectations, evaluate how you can improve next time. If you meet your target, see how you can perform even better next time. Read productivity materials. Good productivity books include David Allen’s Getting Things Done and Timothy Ferriss’ Four Hour Work Week. Productivity blogs you can check out are Life Hacker, Life Hack and Getting Things Done. Just bear in mind not to get too caught up with life hacks and miss the bigger picture of what you are trying to do. Bundle/Batch similar tasks. Put the same tasks together to get synergy out of them. For example, if you need to buy groceries from the supermarket, work out the other things you need to get from the mart so you can purchase them all at a go. If you need to work on Project A, finish everything related to Project A in the same session rather than scattering them throughout the day. Use the best tools. The tools you use are supposed to make you faster, not slower. Upgrade to the latest versions of software (Lotus Notes, Outlook, Photoshop, MS Office, etc). Use a computer with an optimal processor speed. Make sure your internet connection is not slowing you down. Reward yourself. An incentive will perk things up. Tie whatever you do with a nice reward at the end. Besides the sweet feeling of completion, now you have something else to motivate yourself to work faster. Learn to say No. If you want to get things done, this means standing up for yourself and saying no to other things. Things you don’t want to do, things which are unimportant, and things which are unrelated. You will never make progress in what you want to do if you keep saying yes all the time. Quit to win. Sometimes, if things we are doing are heading nowhere, it’s time to just cut it off on the spot. There’s no point in finishing something for the sake of finishing them – it defeats the purpose. Create a conducive environment. Your work environment plays an important role in your attitude toward your work. Make sure you are working in a personal space that motivates you. My bedroom is also my office and I have set it up to be an inspirational environment. Read more: Does Your Room Inspire You? Improve your posture. Your posture affects your productivity too. Get into a good posture and your attention span and productivity on your work will increase too. Delete limiting thoughts. Worrying about some hypothetical scenario that has not occurred yet? Thinking negative thoughts? Feeling negative feelings? Stop living in your bubble and trash these all out with the [Delete] button. You don’t need all these things to hold you back. Cut down on commuting time. Commuting time is probably the one thing that eats up people’s time. Cut down on your commute by taking shorter routes, taking a cab, hitching a ride in someone’s car, working from home, using a car pool, etc. If you can’t, then leverage on productivity tools (see tip #11) to make the best of your traveling time. Time box. Set aside a fixed time slot to work on your tasks. You must work on that task and only that task during that time slot, no more, no less. 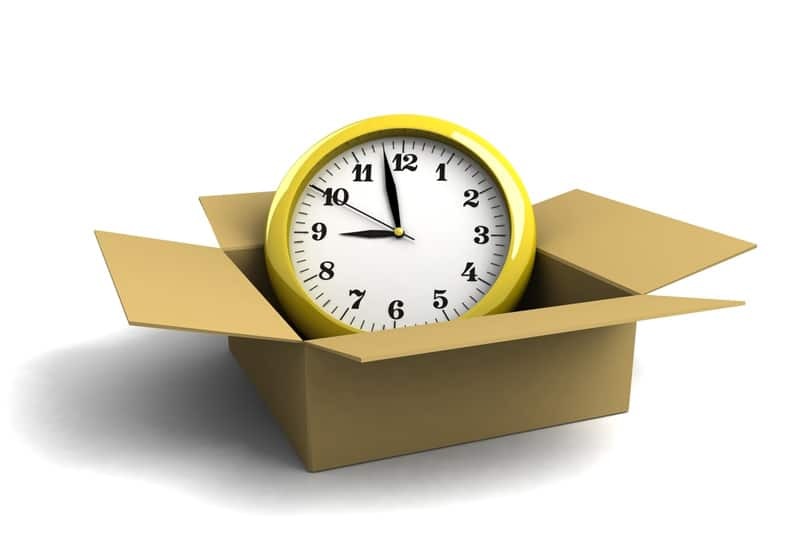 (Hence the term, time ‘box’, since the task is boxed within the time). Most people set aside a time to work on a task and continue working on it till they are done, even if it means exceeding the time. Because of that, they develop the mentality that it’s okay not to finish a task within the allotted time slot since there’s time later to do it. This decreases their productivity. With time boxing, the non-negotiable cut-off timing makes you more productive. Set a target. A target or a goal gives you something to work toward. Better still, make it a challenge that is still achievable at the same time. Set a deadline. Put a deadline to the goal you set (Tip #42). A deadline creates speed and action. Keep your emails in check. Emails are supposed to make things more effective, not bog you down. 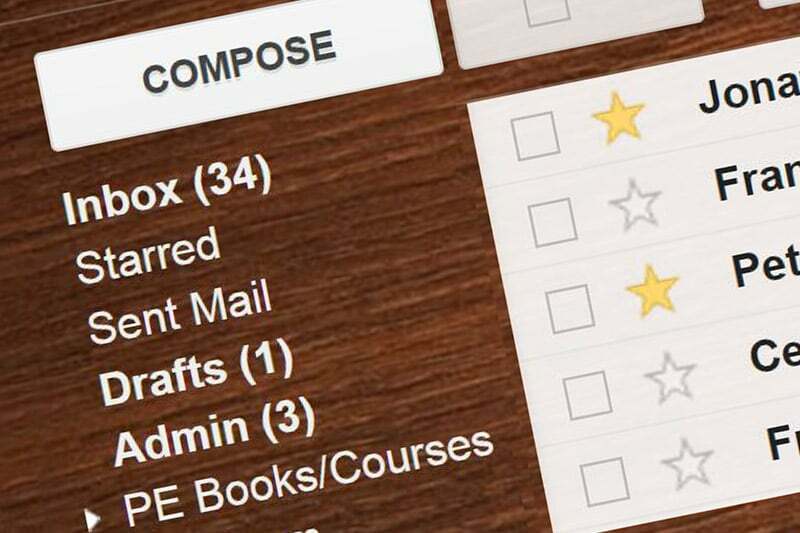 Make sure you are managing your emails well – Check out How to Be an Email Master. Plan your task. A blueprint is needed to build a building. Similarly, a good plan facilitates your work by quantum leaps. For example, you want to write a 10 page report. Attempting to write it immediately without organizing your thoughts will lead to a jumble of ideas and a lot of eventual rework. Investing some time to develop an outline and clarify your thinking will lead you to a higher quality output with lesser time and effort spent overall. Visualization. Imagine you have finished the task. Feel that surge of euphoria. Now, ride on that wave of energy and use that to move your tasks into completion. Practice makes perfect. It takes 10,000 hours to become a master at what you do. Make sure you put in the due diligence in your work. The better you are at it, the more you can do in the same amount of time. Use overwhelming force: Blast all your energy and get the task nailed down, rather than try to tackle the task with little spurts of energy. If you imagine you have a report which takes 3 hours to finish, channeling all your energy to get it done in one sitting is better than the alternative where you do it for 30 minutes every day, each time having to recollect where you left off previously. Get a coach. A coach brings your awareness to your blind spots, pushes you forward and opens you up to new levels of performance you never thought of. Time out (Have a break/vacation). If your brain is completely fried or if you are physically too tired, give yourself a time out. No point pushing yourself onward and moving millimeters forward when you can give yourself a good rest and boost yourself after that. Else, you’ll just end up in a productivity slump. Having a vacation/full break is also important. I went to a 10-day Vipassana meditation retreat in ’09 and felt a big boost in momentum after I returned.